It’s difficult not to notice Patrice Bernier’s presence on the field. 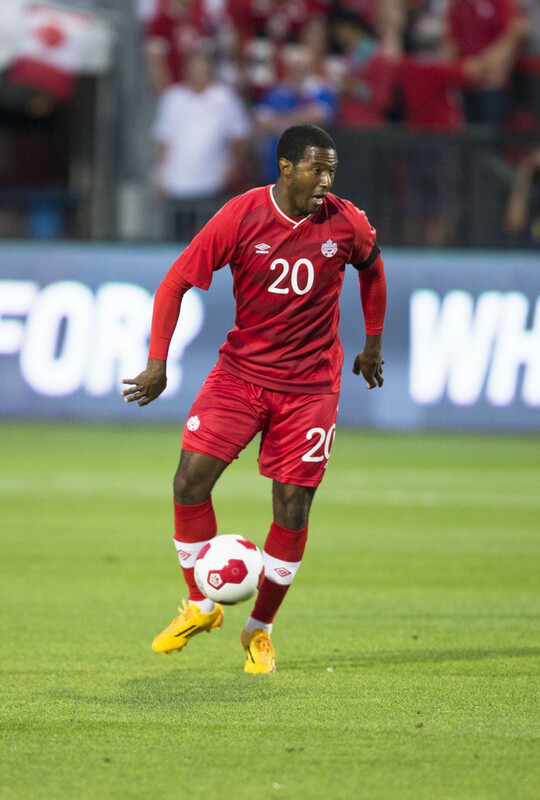 But it’s his efforts off the pitch that is proving just as valuable for Octavio Zambrano’s Team Canada. Next Tuesday, Bernier will be lining up with Les Rouges at Stade Saputo against Curaçao—a momentous occasion for the Montreal Impact veteran. Last week, Zambrano teased the captaincy would be handed to the midfielder for the match—a fitting gesture given this could be one of the last times Bernier dawns the Canadian jersey, in his home stadium no less. In what will likely be his last national game on home soil, Bernier said he would be honoured to captain his country in Montreal. “I don’t know when the decision will be made but of course if I have that chance one time in my international career to have the armband, it would be great,” he added. Although there is yet to be a verdict on who will captain Canada moving forward, Bernier’s importance to the squad is apparent amongst the players. 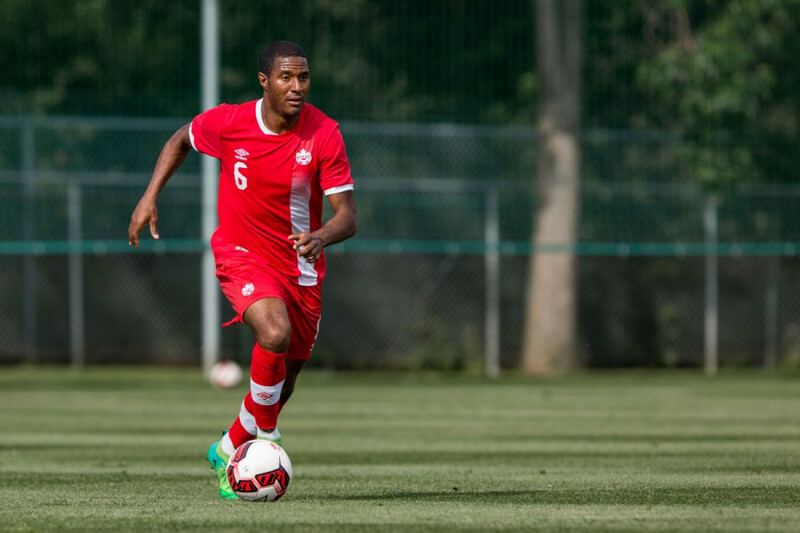 Seeing that the squad has introduced several young faces—including recently committed Vancouver Whitecaps 16 year-old midfielder, Alphonso Davies—Team Canada and FC Dallas forward, Tesho Akindele admitted that Bernier’s presence is a good mix for the team. In addition, the 2014 MLS rookie of the year identified Bernier’s ability to control the tempo of the game as crucial for the team. “It’s important to have somebody like that who can kind of dictate how we play,” said Akindele. Bernier admitted to holding talks with Zambrano, and acknowledges the roll his coach needs him to play. “It’s like a new beginning,” said Bernier about Canada’s current crop of players. For now, Bernier is just enjoying the time he has left on the field.